It is finally spring, which means it is time to start revamping your gardens. There are so many unique planters available in stores and online, however there are so many fun objects that are not meant for gardens that you can turn into your own container garden. 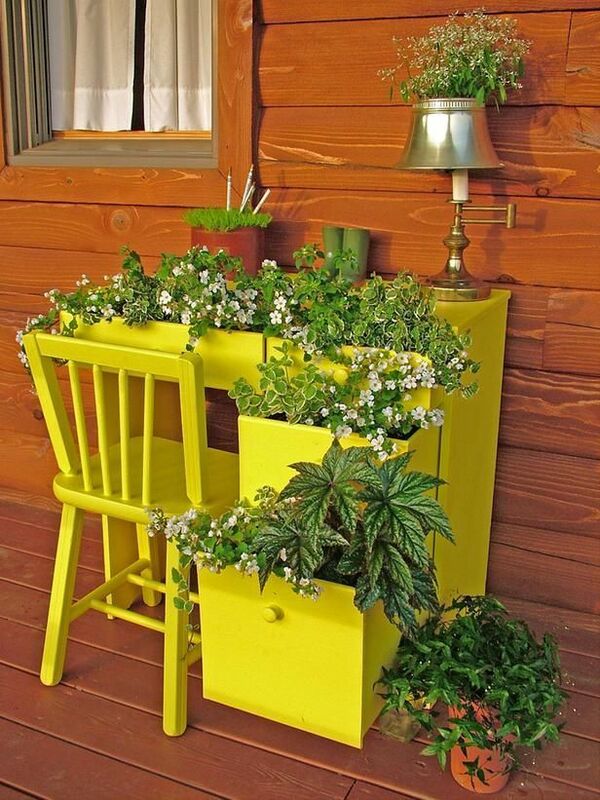 Below are 10 ideas on how you can add a unique container garden to your yard this year. Have you created a container garden out of something unique not pictured? Share with us your pics! You can freely use Finnish idea also. Love the buckets and garden tools and the desk!